Be careful the next time someone gives you a handful of change. It could contain one (or more) of these. 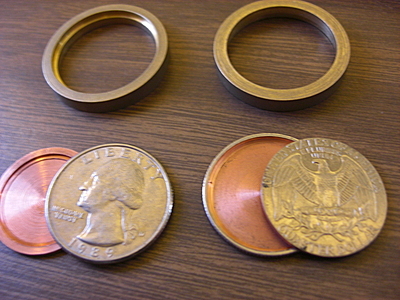 Real coins are used to create these Hollow Spy Coins. Each coin has a hand-milled compartment inside. 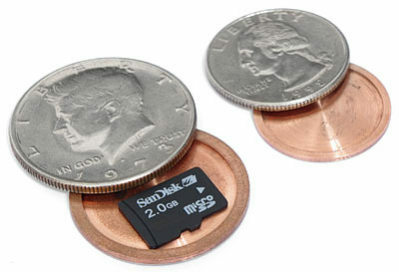 While the compartment in the quarter is quite small, the half-dollar coin is large enough to store a micro SD card inside of it. Each coin comes with an unlocking ring used to twist the coin open to obtain the secrets contained inside. The plus to this little gadget is also something of a minus. When closed these things are indistinguishable from real coins. What if you accidentally spend all of your spy stuff on a soda? 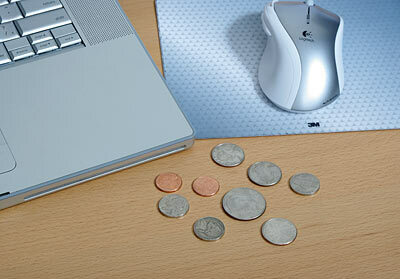 Get your very own Hollow Spy Coins at Think Geek!